The Kinect sensor is designed to sit on a shelf just above or below your TV. 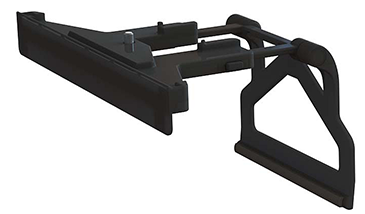 If you can’t find the right spot for the sensor, you can use the Kinect mounting solution offered by PDP, a third-party manufacturer. This sensor mount is designed specifically to work for the Kinect sensor for Xbox One, and it’s available in all Xbox One markets. 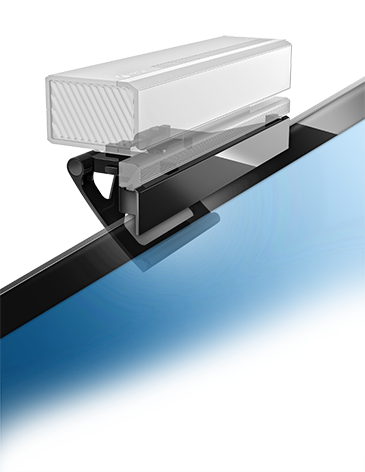 The sensor mount by PDP also comes with a privacy cover, which can cover the Kinect cameras whenever you want the camera and voice commands to work, but you don’t want the camera to see you. Note You can turn off the Kinect via Kinect settings. The mount should be available at most retailers where Xbox One products are supported. Contact your local retailer for more information. To get started, familiarize yourself with the features of the sensor mount. Tripod screw: This is a universal camera mount screw, which is used to mount the Kinect sensor to the mount. 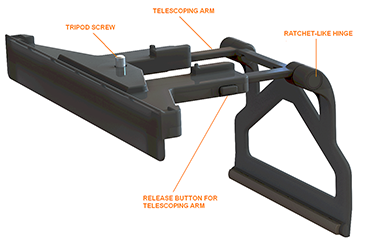 Telescoping arm: This arm is adjustable to accommodate the width of most TVs. Release button for the telescoping arm: Press this in to adjust the arm. Ratchet-like hinge: This is used to secure the mount tightly to the top of your TV. Without the sensor attached, attach the mount to the desired location on top of your TV. Adjust the telescoping arm to fit your TV by pressing in the release button and moving the arm in or out until the mount is snug, but not too tight. To make the mount secure and stable on the TV, adjust the ratchet-like hinge toward the TV until the mount is as secure as possible. Note If the mount isn’t secure, try adjusting the arm and hinge a different way. 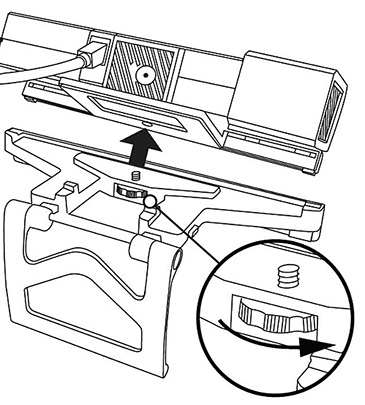 Attach the Kinect sensor by screwing it into the mount as shown below. 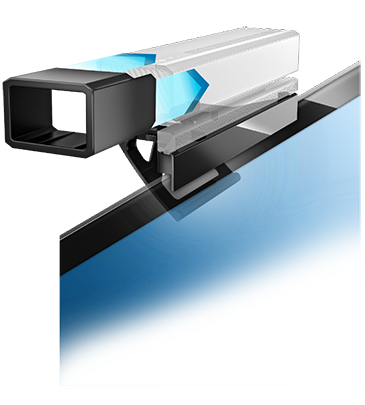 If you want to use the privacy cover, slip it on the Kinect sensor as seen below so that the cover blocks the sensor’s RGB and IR cameras. This sensor mount is not sold by Microsoft. You can find support for the mount by contacting the manufacturer. The Kinect sensor mount for Xbox One does not support the Kinect for Xbox 360. The Kinect mounts for Xbox 360 do not support the Kinect for Xbox One. You can use other camera mounts that have the universal camera screw; however, they’re not designed specifically for the Kinect sensor, so performance and mount stability may vary. Use at your own discretion. Would you like to contact Support regarding the "Kinect sensor mounting options for Xbox One" issue you were reading about or a different issue?